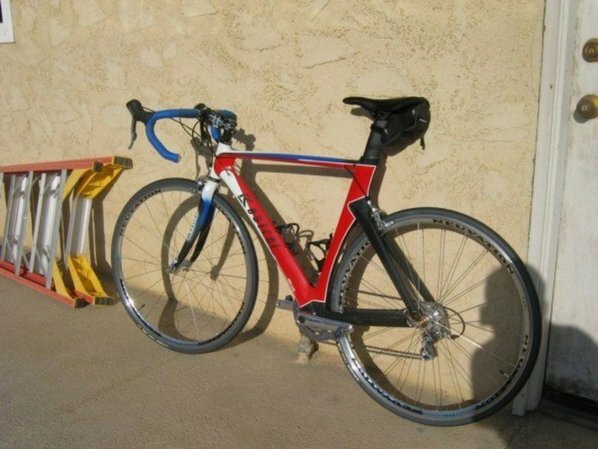 Home > Forum > Triathlon Forum > Let's see your ride! My ancient rig. 10 Year old Cervelo Eyre Road. It's so old that that I regularly get asked if it is a new Cervelo model. This was Cervelo's first serious attemp at a road bike and is obviously the grandfather of the current line of Soloist bikes. 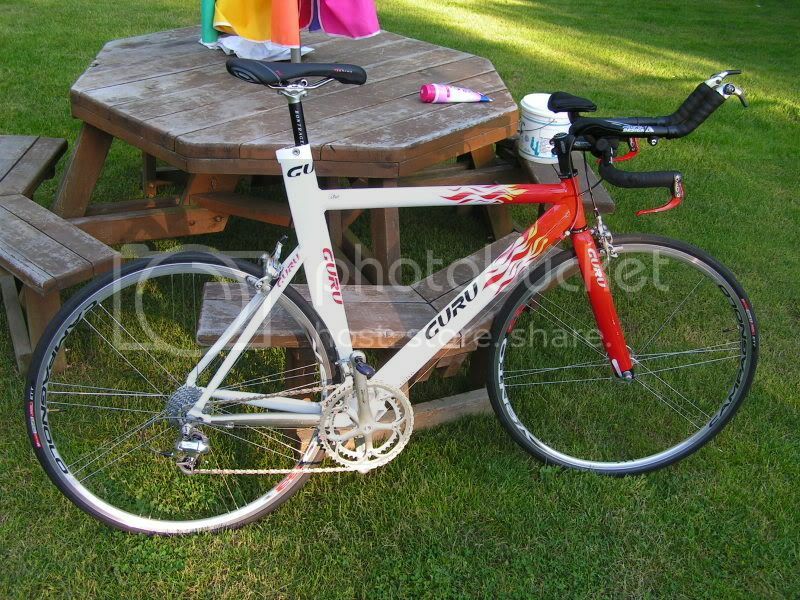 I am hoping to turn this into the beater off-season bike this year after I get a new Cervelo R3. Hehe..that was before I saw your ride, or course! Another IM in 2016 - hopefully.. I have it on my Felt DA as well, and it works perfect. - Easy to take on and off using the chain-lock, feels smooth and is very light. I know they're good bikes, but i could never own a Cervelo....every man and his dog has one. That's funny...here in Oregon (the parts where I've lived at least) I've never seen a Cervelo. Back in the fall, when there was grass, and sun! It hurts so bad, it feels good.